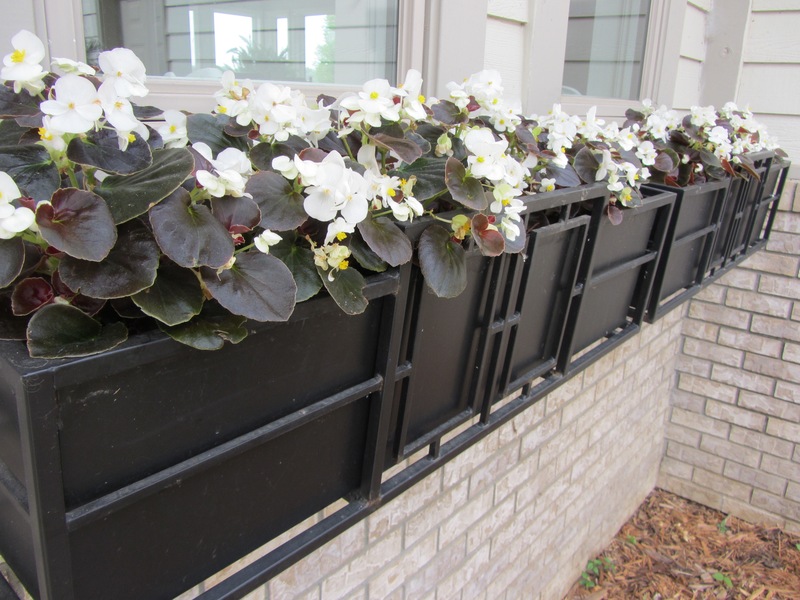 +++ Finding plants that can be trimmed to re-bloom for window boxes are a challenge for this shade setting. These begonias bloomed from June until frost. 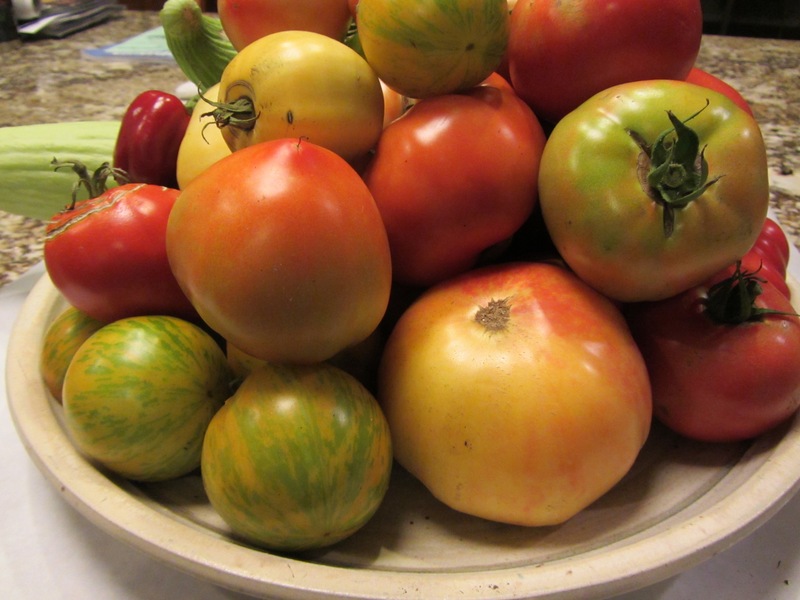 +++ Enough heirloom and hybrid tomatoes ripened before the end of the season to fill canning jars. Green tomatoes ripened wrapped in newspaper in a box. +++ Endamame (edible soybeans) grew well; a new plant we tried. When we found three immature beans in a pod, we had a celebration and steamed the harvested pods and added sea salt for a crowd snack. — Kale was ready to gather for supper, I estimated. It was growing under a row cover. I hadn’t peeked under the cover for a couple of weeks. Large bowl in hand for the harvest, I lifted the cover. Some very efficient insects had been at work. All the green foliage had been munched and the veins of the leaves remained; a tiny stripped forest. ??? Canna bulbs have just been dug from the containers in which they bloomed this summer. Will they overwinter in the back of the garage? 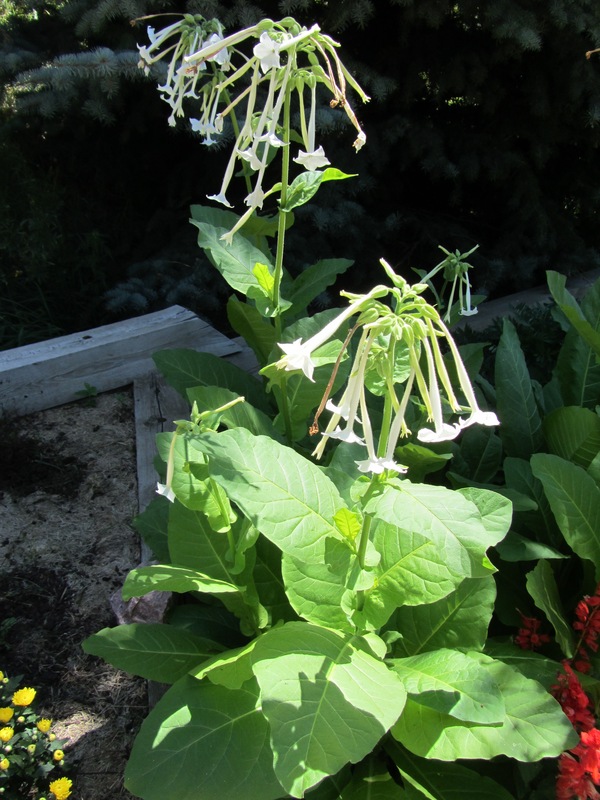 Seeds to save such as woodland nicotiana that stood tall and fragrant are now in envelopes in the cabinet, ready to test next spring for viability. Whether the pluses outweigh minuses for gardening, there’s just enough success to try again next season! Thanks for your visit to Plant Exchange Blog. We’re glad you joined us and hope you will look around Plant Exchange for more topics that interest you and will join us next week. Thank you for all the “Likes” and loyal “Followers”.